Ray Flash 2 is a unique adapter for your hot-shoe flash unit designed to replicate the lighting effect produced by traditional, expensive, and heavy powered studio ring light units. The Ray Flash 2 creates the distinctive ring light effect: a three-dimensional shadow-wrapped look around the subject. Because ring flash light originates from a circle around the lens, it produces a virtually shadowless look on the front of your subject, while producing a soft even shadow around the edges. The versatile Ray Flash is ideally suited for fashion, wedding, portrait, journalist and macro photography as either a main or fill light. The Ray Flash 2 is portable and lightweight, and has been designed to take advantage of a camera's TTL metering capabilities. How Does the Ray Flash 2 Work? accomplished through a sophisticated system of internal light-shapers designed to distribute and project the light evenly around the lens. 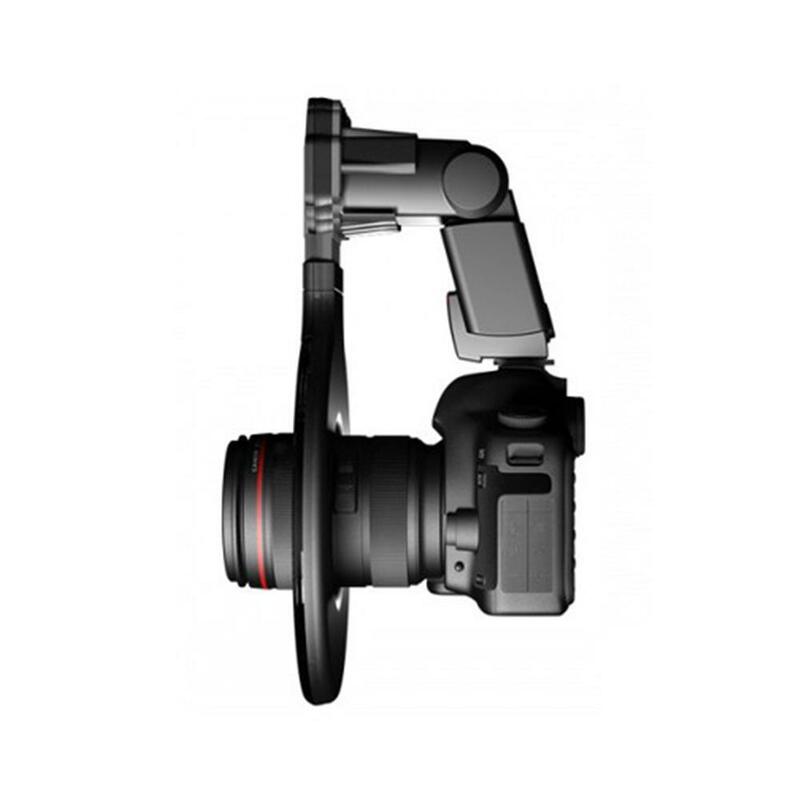 Ray Flash 2 attaches to the face of a speedlight using an adjustable clamp mount. Its solid acrylic light guides efficiently direct light from a portable flash unit into a circle around a camera's lens. It contains no electronics or batteries, instead relying on your speedlight's power to generate light. How Do I Attach Ray Flash 2 to my Flash and Camera? Open the Ray Flash 2's adjustable clamp and insert the face of the flash head into the clamp. Then, attach the speedlight into your hot shoe while sliding the Ray Flash 2's ring over the front of your lens. A rubber ring included with the Ray Flash 2 can also be used to compensate for any downward angle to the face of the speedlight, ensuring that the Ray Flash 2's ring stays parallel to the front of your camera's lens. The universal, adjustable mount with a spring-loaded clamp allows the Ray Flash 2 to quickly and securely attach to different sizes of speedlights. The centre column of the Ray Flash 2 slides up and down to accommodate variations in camera and speedlight heights. Ray Flash 2's lower profile compared to the original Ray Flash makes it even more portable for location photographers. Either Ray Flash 2 version will attach to any size flash head. 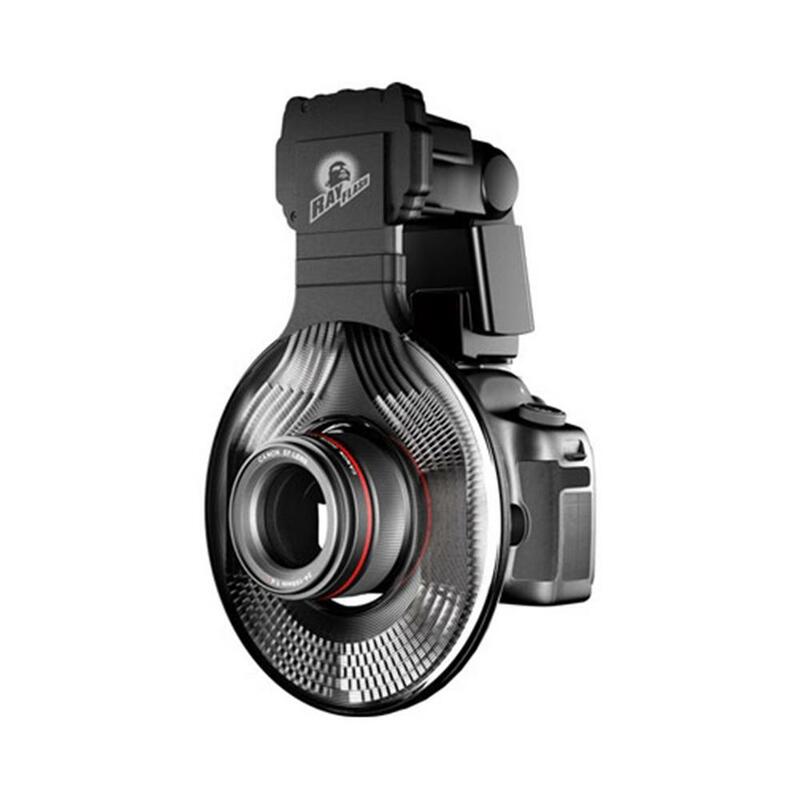 Ray Flash 2 Long (RFU-L) fits the tallest DSLR bodies available, ensuring that your camera's lens is centred in the Ray Flash ring.